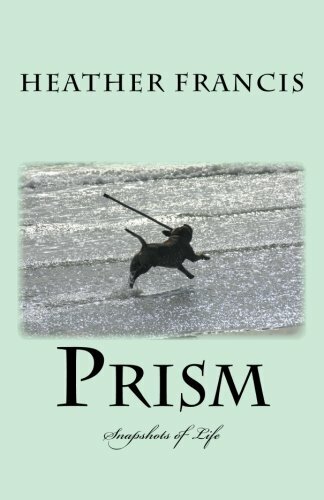 Prism: anything that refracts light to produce rainbow-like colours, and like refracted light these snapshots of life shine a light on noticed sights, those small observations we all make but perhaps don't outwardly acknowledge. A selection of short narratives taken from personal experiences or seen happenings, from the triviality and nuances of life that surround us, otherwise known as 'author's gold', and the point from which the real is then interwoven with the unreal. Also known as The Controversial Veggie, Heather has been publishing her writings on a blog under that same name since 2010, and also has a regular article in a magazine publication.